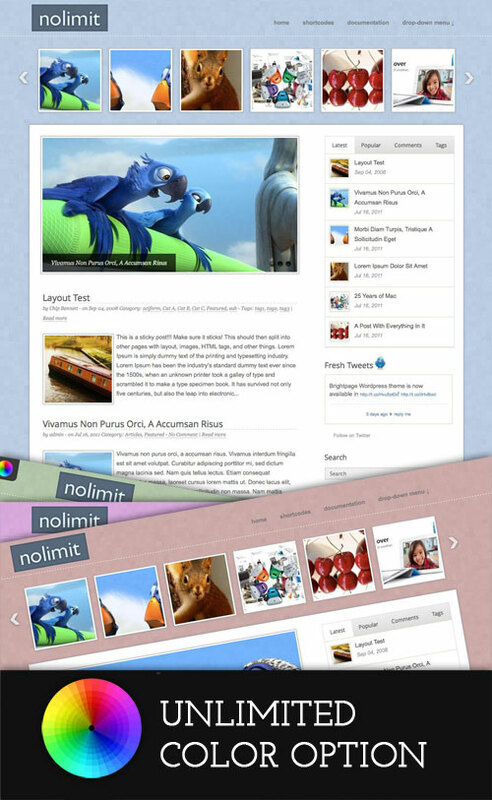 Nolimit WordPress Theme. Unlimited color option. Featuring modern jQuery Powered Sliding Gallery, and theme options page. Compatible for WordPress 3.2. Documentation about how to use this theme is included in the zip file.